Family Equality Council has submitted comments to the U.S. Department of Education opposing Education Secretary DeVos’s proposed new Title IX rules, calling attention to the importance of protecting all students from sexual harassment and assault, especially LGBTQ students who are at a heightened risk. The Department announced these proposed rules in November 2018, beginning a 60-day public comment period before the rules are finalized. As detailed in our comments, the proposed rules weaken protections for student survivors of sexual harassment and assault while bolstering the rights of the accused. These proposed rules circumvent the very purpose of Title IX, which is to protect students from sexual harassment and assault, and they will have a chilling effect on survivors by creating additional and unnecessary obstacles to reporting what happened to them and having the incident properly investigated and redressed. These proposed rules are of particular concern to our community as LGBTQ students experience higher rates of sexual harassment and assault in schools than their peers. As reported by the 2017 National School Climate Survey, over 80% of LGBTQ students report experiencing harassment and assault at school, and over 57% were sexually assaulted at school. Sadly, a majority of these occurrences were not reported to school staff due to doubts that school officials would adequately respond and fears that reporting would make the situation worse. Instead of working with schools and students to alleviate these barriers, the proposed rules only exacerbate them. 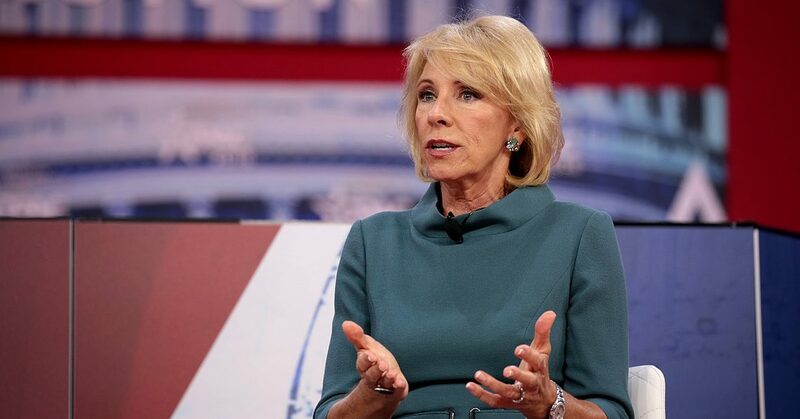 As we know, this is not the first time Secretary DeVos and the Trump Administration have worked to undermine civil rights in education – particularly against the LGBTQ community – and it will probably not be the last. To elevate the voices of LGBTQ students and keep abreast of developments that impact our families, Family Equality Council has recently joined the Education Civil Rights Alliance (ECRA), a coalition of educators, community groups, professional associations, civil rights organizations, and government agencies committed to protect the civil rights of marginalized students. Through our membership in this alliance, we will continue to oppose the Administration’s attacks on our students and will work to support advancements in equality for our families.